This week’s NME is a jam-packed affair full of the latest news and reviews from planet indie. 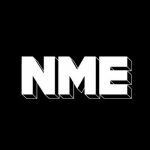 Head down to your friendly newsagents from 13th May for a full live report from the Samsung NME Radar Tour with La Roux, Magistrates, Heartbreak and The Chapman Family. Plus – we speak exclusively to Manic Street Preachers about their new album and working with Richey’s lyrics. And the Albums section has the definitive verdict on the record itself. There’s news on Late Of The Pier‘s latest recordings. The Radar section introduces new band The Pains Of Being Pure At Heart. Finally the Ten Tracks You Have To Hear This Week spread is your one-stop-shop for the best new music and where to hear it.